Roger | Voice Procedure for Jet Charter Pilots | Stratos Jet Charters, Inc. In radio jargon, the term ‘roger’ refers to the affirmation of receipt of the last transmission. It’s part of a system of communication known as voice procedure. 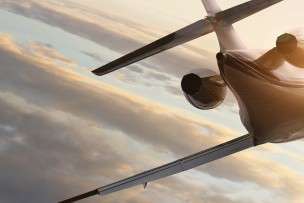 Civil aviation operators, including jet charter pilots, use voice procedure to simplify interactions between parties using two-way radios. While some commonality exists between radio alphabets, distinctions exist between groups and countries. For instance, when radio alphabets first came about, the word ‘roger’ was used to represent the letter ‘R.’ Even though the modern international NATO phonetic alphabet uses ‘Romeo,’ the old designation stuck. Radio communication can be sketchy at times. Messages can get cut off or misinterpreted when transmissions are weak. That’s why developers established a simple, standardized communication method to enhance efficiency and clarity of the message. It’s easy to see why maintaining effective communication between jet charter pilots and air traffic control is essential to air charter safety. It allows for the dissemination is mission-critical information that air crews need for safety and navigation. Furthermore, by keeping messages concise, it limits the amount of time parties spend on the airwaves. In turn, this keeps the radios free for when emergencies arise.